There were no English servants to the Imperial Family aside from a tutor or governess. This is almost certainly just another "family tale" which we have heard literally hundreds and hundreds of times. "Everyone" seems to have an ancestor who worked for the Imperial Family. Wait, am confused. If the fan was sold in Berlin in 1927 with the other Imperial Jewels, why would it "still" be in the Hermitage? It was sold to the West, not sent to the Hermitage. It is not in the "Annualaire" or Annual Book of the Nobility of the Russian Empire for 1889. The pedals aren't in the standard placement that we've grown accustomed to over the last 100 years or so, and in fact, only one of the three pedals does what we might expect from a floor pedal these days. I'm talking about the brake pedal. Yes, the brake pedal stops the car -- but even then, it's in the far-right position (where you would normally find the accelerator pedal). So what are the other two pedals for, you ask? Well, in addition to the brake pedal, you'll find a gear selector pedal that provides first gear (all the way to the floor), neutral (half-way out and used for stopping) and second gear (all the way out). Next to that pedal, you'll find a separate reverse gear pedal. In other words, if you're driving a Model T, you'd better be up for some pretty fancy footwork. But it's not just your feet that will stay busy in a Model T, your hands will get a pretty good workout, too. Aside from steering the car where you want it to go, with your left hand, you'll be adjusting the firing of the spark plugs (down to advance and up to retard), and with your right hand you'll control the throttle (down to open and up to close). According to the Car and Driver article, "The odd position of the throttle, brake, and shifter make driving a Model T an archaic and dangerous experience. It's like trying to do the Charleston while loading a musket after a big night at the speak-easy." But the full Model T experience isn't just about sitting in the driver's seat and, well, driving. Before you can drive it, you have to start it. And, if you ever find yourself behind the wheel of a pre-1919 Model T (prior to being equipped with an electric starter), that can be another challenge. In fact, there's even the very-real risk of breaking an arm each time you start it up -- that is, if the engine backfires. I've never heard of nor seen "Nobility Books". We have a copy of the 1880 edition of the Annual of the Russian Noble Families, listing them. There is no "von Biron" listed. The only thing I found in it was a mention of a lesser noble family "Biren", but the family was not of high enough nobility to list the family lineage. The family rose to prominence when the last member of the House of Kettler was left without any male heirs. As a result, Ernst Johann von Biron, a lover of Empress Anna of Russia, succeeded Ferdinand Kettler as Duke of Courland and Semigallia. After that, the family ruled the Duchy of Courland and Semigallia for periods of time between 1737 and 1795. However, the dynasty was short lived and ended with Peter von Biron, who died in 1800 with no male heirs. Don't forget Armand Hammer, who met with the Soviets and was given contracts and who served as the conduit to raise Western cash for the USSR by importing and selling off Romanov memorabilia and Imperial Russian antiques from the Soviet Antikvariat. "The Hammer Galleries" toured department stores all across the US in the 1920s and '30's. Some guy posted to the Facebook Romanov News group just recently that he was STILL pursuing Eugenia Smith's claim despite the DNA, and he refers to her as "Evgenia Smetisko"! Marie Feodorovna / Re: Voice Recording of Alexander III & Maria Feodorovna? My Russian is not good enough to translate. I do however know that the "accent" is not at all all "foreign". It is aristocratic Russian of the Imperial Era. I had a "Tante" born to a noble family in Moscow in about 1905 or so. Her Russian had the very same accent. Paul Kulikovsky is on Facebook, and you might want to message him and ask him for details. Q&A and Interviews / Re: . How do I change my email address? Be aware that the link goes to an article that is available only to paying subscribers. I have a close friend of many years who is part of the Romanov family and contributed to the piece, and put other member in contact as well. Having Fun! / Re: I got a new cat: Tatiana! We got a puppy and about two months later adopted 2 kittens. A second puppy came a year later. Because they grew up together they adored each other. One or both cats was often snoozing happily curled up next to one of the dogs. Never had a problem between them for 13 years. Aide-de-camp Alexander Korochenzov serving to the Grand Duke Dmitri Konstantinovich, helped Tatiana and her young children to escape from Russia. They were fortunate enough to flee to Switzerland. Tatiana decided to marry Alexander Korochenzov, who saved her and her children’s life in fact. In October 1921, they married in Geneva. Not quite three months later, however, Tatiana became a widow for the second time when Alexander died in Lausanne… Tatiana raised her children alone, and tried hard to give them good education granting independence. Other Palaces / Re: Znamenka and Mikhailovka, estates of GD Nikolai N. and GD Mikhail N.
Impossible. There were no self propelled vehicles that early. 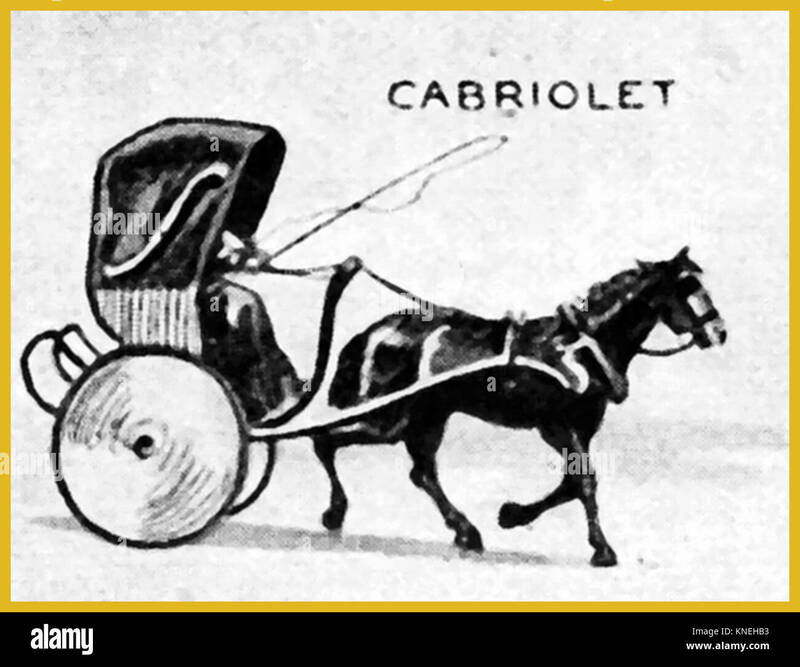 A cabriolet is a type of horse drawn carriage.